Hello, this Polar Hexx, I am a new mod creator. I have dabbled in Java before but, it was in a class and, the mod was kind of horrible. 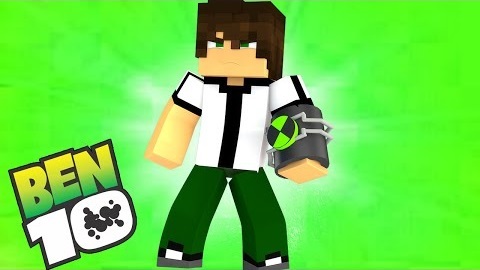 So, I have decided to go deeper into Java and create a full fledged Minecraft Mod. 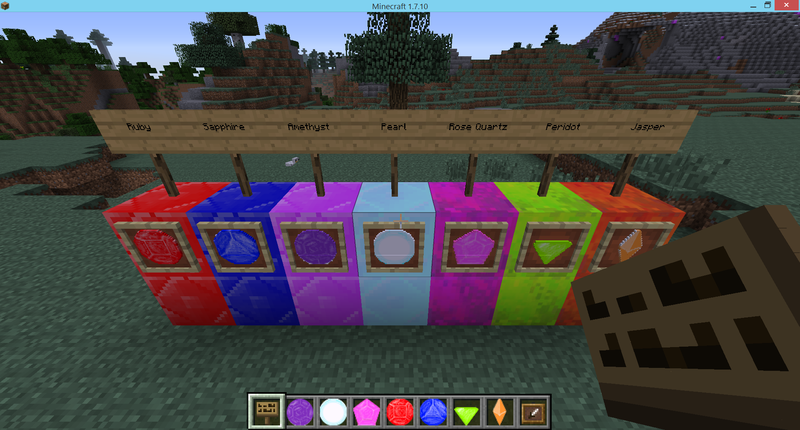 This mod is the Steve's Universe mod, hence the title and it is a Minecraft adaptation of the show Steven Universe. Now, as I said I am still learning Java. so please bear with me and the mod. It will get better. But, in the mean time I am open for new ideas for this mod. Thank you and please enjoy the mod. Add customizable animations for fusing, dancing, and weapon summoning for your character. Add generated structures. Add Teleportation Pads. Add New Biomes (Sea Spire, Corrupted Ocean, Strawberry Fields, etc). I was thinking, to free up button space.. Shift right click to your Gem Heart to enter your dimension. Shift left click your Gem Heart to become your gem (an entity). And a move set for your weapon(s) (Right click, Shift right click, left click, and shift left click) (4 abilities). Also, F is still for fusion. Alright then. ^u^ That makes sense. Biomes or dimensions, they look like separate plains in the show. 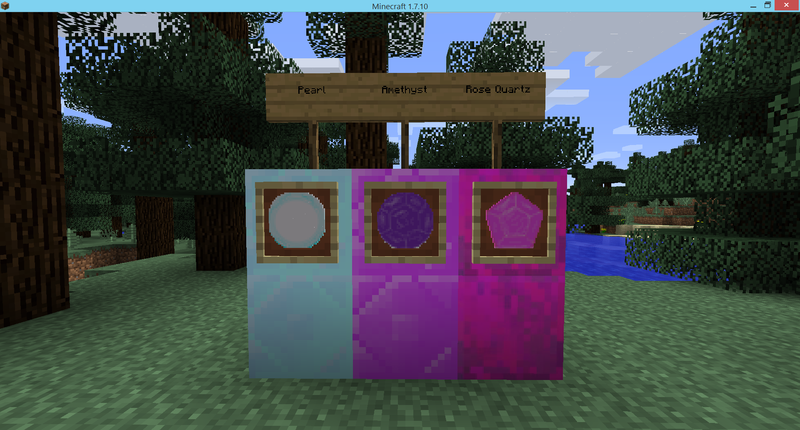 Sneak peak, way more gems and blocks to come! You should add that teleported and when you stand on it and right click it, it will pop up a menu to go to but there has to be a transporter in that same place (some places will already have it in the biome) and you could have it so randomly be a gem from their planet fall down and have a high chance (probably 99.5%) be hostile and passive be a low chance (.5%). Also we could have a custom map from the show, could have Stevens town and (lol somehow forgot the little girls name that has glasses) town. Great ideas, I'm definitely going to add them, but in the mean time. What should the recipe for a Gem Heart (a gem with usable abilities) be, the basic gem and what(possibly more than one thing)?